Blog migration and redesign. The existing content management system was disabled by the ISP and the client asked to migrate the existing two years of blog entries as well as the year of podcasts. 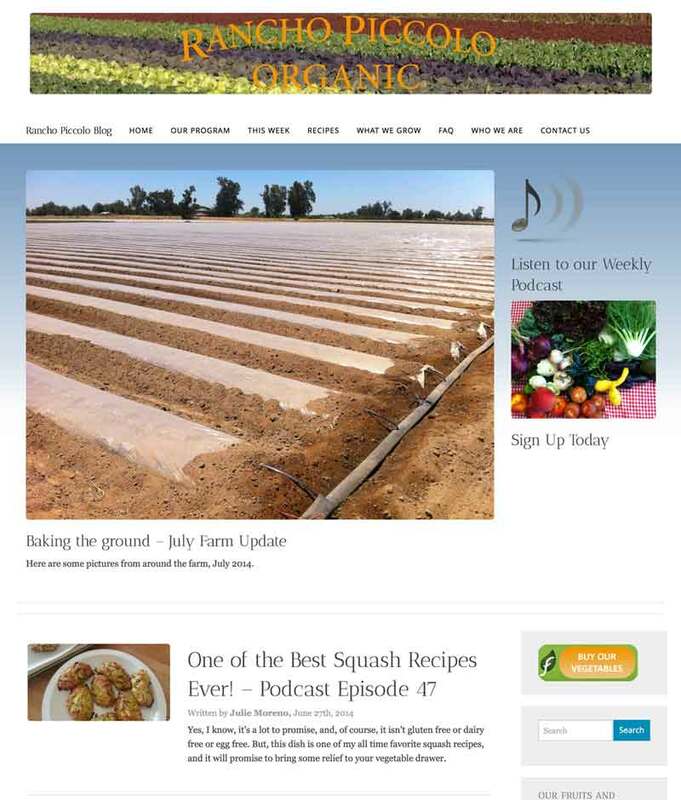 Their new WordPress site includes custom post types and custom fields to allow the recipes, newsletters and podcasts to be easily organized and individually searched.